Everybody is now interested in searching for smartphone that supports 4G LTE network. It is no longer the time when all in Nigeria are concerned with the battery capacity of a smartphone, or very large RAM, Enough internal storage (ROM) with camera megapixel and lots of more. Now everybody is looking forward to mobile phones that connects on 4G LTE since almost all the internet provider networks here supports the network. But as it stands, its not just about having or getting a smartphone with 4G LTE, but getting the particular smartphone that will be compatible with the particular frequency band your network provider at the moment is using. 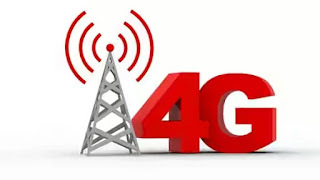 Due to that effect, I know you will be asking your self by now, how to know the 4G LTE frequency and band of which your Network provider is transmitting with. You need not to worry about that anymore, here comes the list of all the 4G LTE network providers in Nigeria and as well the type of LTE band they transmit with. Now getting the type of smartphone for your network provider that is compatible will be so easy to get seeing the band and frequency. Your state of confusion should be cleared as you can now make right choice after glancing all the network 4g LTE frequency band below. Latest MTN 4G LTE Data Bundle plan - Prices & Subscription Codes. See Full List Of 4G Smartphones With Band 28(700) That Is Enabled To Connect With Glo 4G Network. Behold Ntel 4G Network And Its Unlimited Tariff And Data Plans, Prices And Supported Mobile Phones. Internet APN Configuration Settings For Ntel 4G LTE Network. Hope you are now familiar with them above, should in case of anytime may be if you are looking for a respective 4g LTE band network for any smartphone, then the above has a lot to play. Have any question kindly use the comment box.